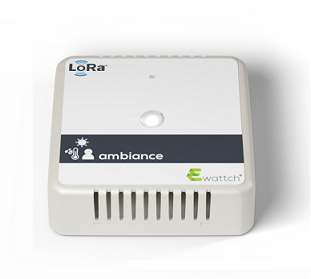 Ambiance is a general LoRaWAN™ device for the detection of temperature, humidity, rate of presence, brightness, and CO2 (with a dedicated device). The device have to be alimented by a external power source for using the CO2 sensor. Its measuring cell uses dual-wavelength E+E infrared technology NDIR, which compensates for the effects of aging, is particularly resistant to pollution and offers great long-term stability. 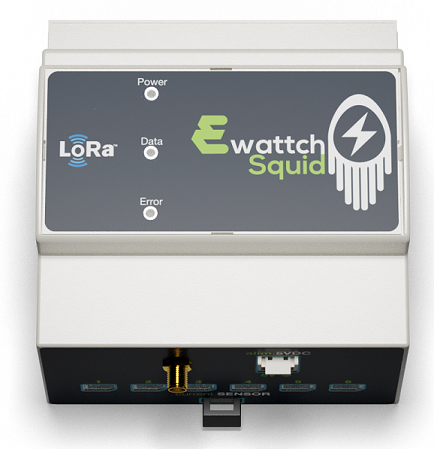 Squid is a general LoRaWAN™ device for sub-meter your single or three-phases electrical installation. Installed in an electric panel, the 12 Squid clamps allow you to sub-meter the totality of your installation, without any type of modification. This devices supports four size of clamp: 10, 16, 24 and 36mm.